Why conjure up the same information for the babysitter over and over again? Keep the kids safe and happy the fill-in-the-blank way. 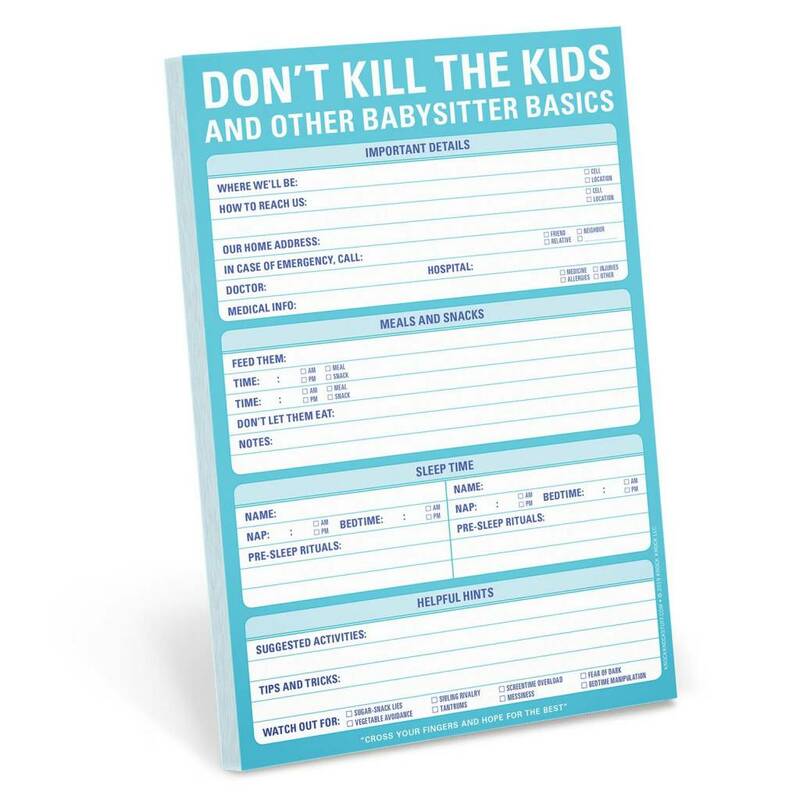 Armed with this pad, your sitter will be prepared for anything from sugar-snack lies to bedtime manipulation—and you’ll enjoy a relaxing parents’ night out. 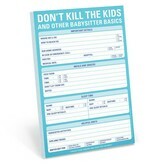 This notepad’s back by popular demand!